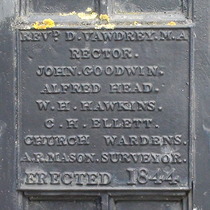 This small plaque is on the inner gate pier to the left of our photo. From London Gardens Online: "The old parsonage was demolished in 1763 and the ground taken into the churchyard in 1844 when cast iron railings were erected." 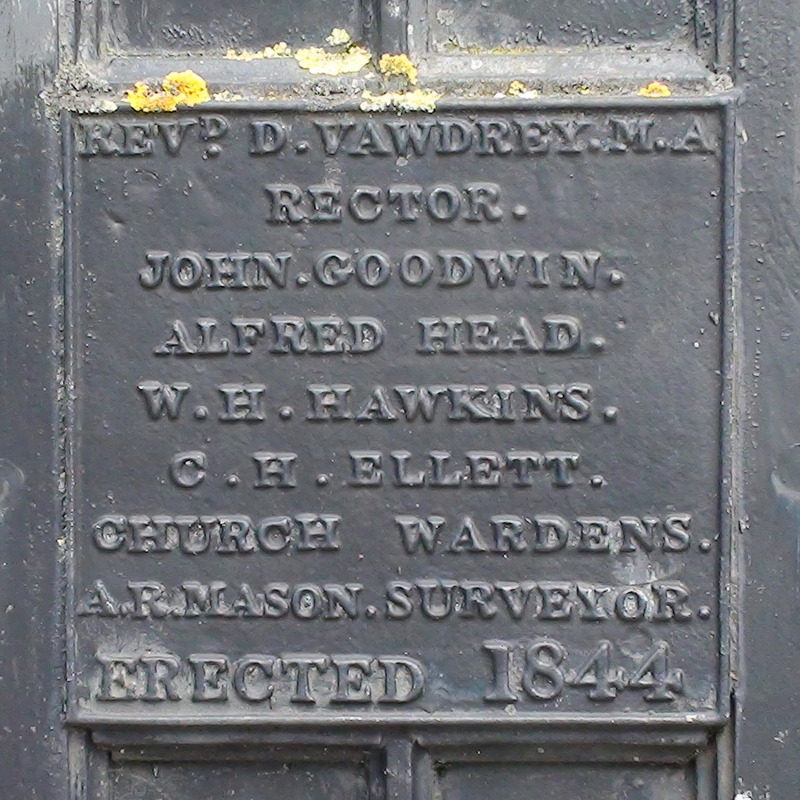 Church warden of St Dunstans Stepney, 1844. Rector of St Dunstans Stepney in 1844, possibly 1842 - 47.